Born in Tostado, in the province of Santa Fe, in Argentina, Carina was introduced to dance through folklore argentino. At the age of 17 she moved to Paraná to study Social Communication in the National University of Entre Rios. After this she started to dance tango and met Pablo Villarraza, with whom she organized milongas in and around Paraná. In the years after Carina travelled, usually to Buenos Aires, taking classes from the other maestros of the time. She attended seminars, workshops, directed choreographies for the theater and was a member of diverse tango dance companies. Her artistic search continued to evolve by studying contemporary dance, acting, investigation and production of movement, dramatic art of the body and corporal training. In year 2000 Carina returned to take classes with Pablo and met Dana Frigoli. In 2006 she entered DNI and decided that this would be her place to continue her search. She was a producer of the opening of “La Colección, los tangos de una vida”, the first show of the DNI Tango Company. After working for ten years as a graphic designer in Paraná, Carina moved to Buenos Aires in the summer of 2008. She attended classes daily for a year at DNI, and then worked as an teacher giving private and group classes of various skill levels. And also she was as a member of the DNI Tango Company. With the DNI Tango Company she held exhibitions in the following milongas: Salón Canning, Club Grisel, Club Villa Malcom, La Baldosa, La Catedral. And also at the Alvear Theatre, Margarita Xirgu, Maipo Theatre and El Cubo presenting the shows “A-realidades” and “La Musa del Capricho”. She also danced at the presentation of the CD “Zorro Gris” of the Tubatango Orchestra. In 2008 Carina met the finnish tango dancer Arttu Artkoski and in 2010 they began to work together as tango dancers and teachers in Argentina and Europe. They conducted several workshops in different cities in Finland, Basel (Switzerland) and the Summer Tango Festival Finland 2011 and 2012 (Finland). They performed at Milonga Basel (Switzerland), Seinäjoki Tango World Summit 2011 (Finland), DNI Práctica and Milonga del Pañuelo Blanco (Buenos Aires), among other places. Currently she is living in Tampere city (Finland) and giving privates and regular classes and special workshops of technique for ladies. 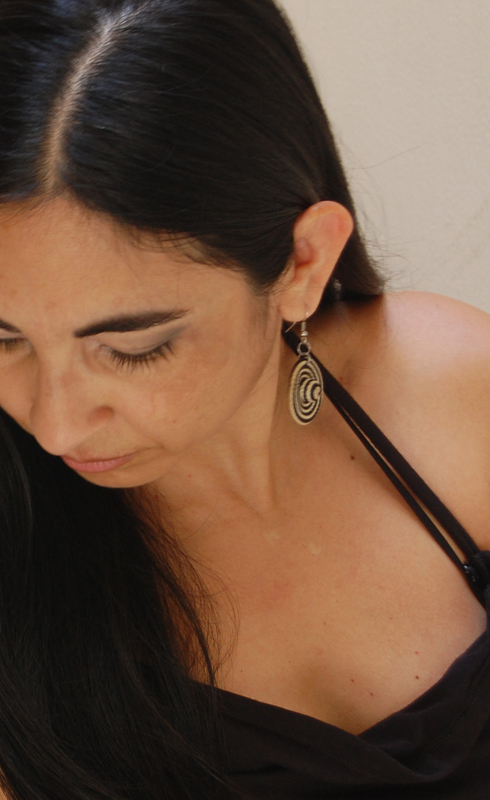 After five years working at DNI Tango School in Buenos Aires, she continues investigating and working with the same concepts: connection, organic movement and technique. Related natural body movements with the movements of tango, making this technique possible for all people. Offering everyone the possibility an analytical tool to investigate classic elements to newer elements and develop their own dance.